Our innovative and exciting quartely E-mag is no longer being produced, however, all twelve editions remain available for purchase. 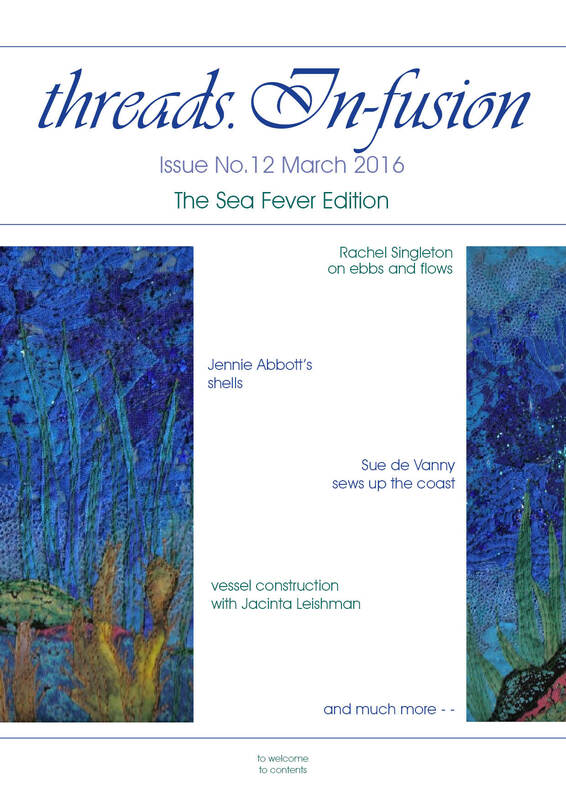 Each issue is devoted to a special theme, full of excitements for textile artists and people who love to play and experiment. Contributers include fabulous artists from all over the world, a guest artist, and our own guru, Shelagh Folgate. Each issue also includes a gallery. Articles may include hand and machine stitching, surface decoration, mixed media and paper art. Taster from Issue 2 here. Taster from Issue 3 here. Customers may purchase by the single edition, or any block of four. We take Mastercard, Visa or PayPal. In addition, Australian customers may pay by direct deposit. Full contact and payment details here. You may order any four back issues using the button below. Please state your issue numbers in the 'instructions to merchants'. We will send the access codes to the email provided in your payment details. If you reside outside Australia, choose My Location as 'outside Australia'. Use the button below for single issue purchases.